Allows bees to pass through while impeding the queen. Queen excluders are useful for double-queen systems, 3 weeks before harvest, or anytime you want to limit the queen's movements. One sheet of insulation fits above the inner cover. Plastic oval-shaped bottles with a tamper-proof lid. 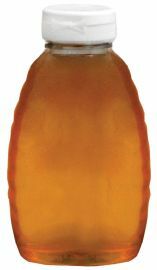 Small plastic oval-shaped bottles with a tamper-proof lid. This super made out of high-density Styrofoam. 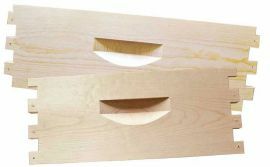 Also known as a hive body or brood box. Also known as a honey super. 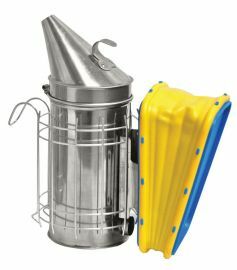 This bottom-mounted pollen trap collects a portion of the pollen that the bees bring into the hive. 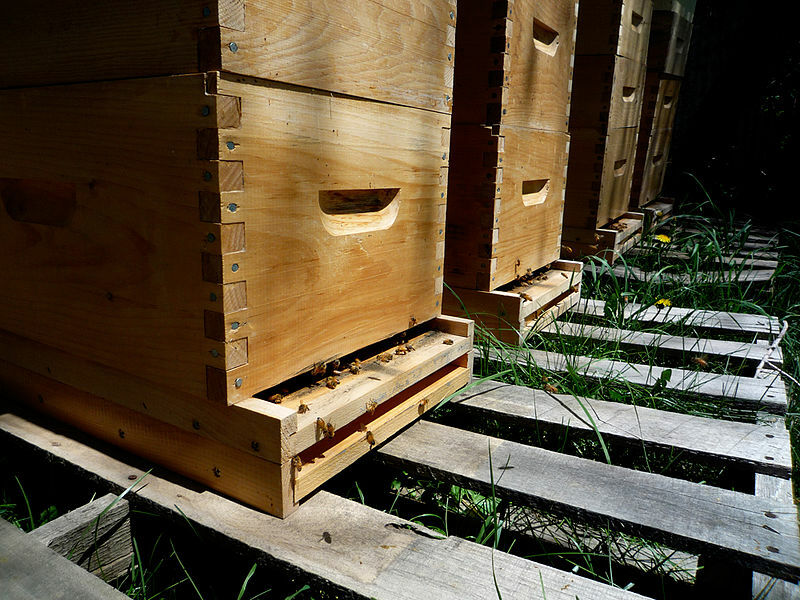 Placed under the supers prior to harvest allows bees to exit the super into the brood chamber but does not allow their return. Removes the wax caps from the tops of honeycomb. 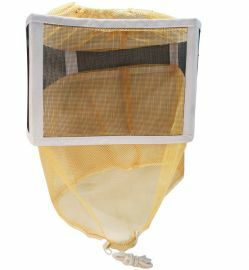 Folding Veil is used with a hat and offers the most basic protection for beekeepers. One sheet of foundation with vertical wires. 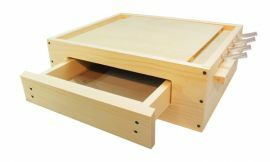 Wax foundation for deep brood boxes. Does not have wires. 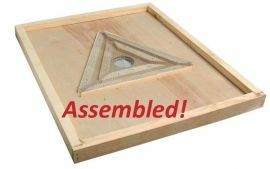 Requires a wedge top frame. 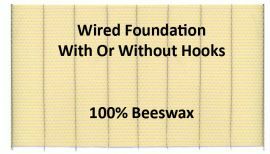 Hook wired wax foundation. Requires Wedge Top frames. One sheet of thin surplus. 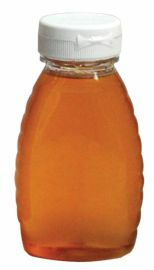 Often used for comb honey on medium supers.